New Orleans truly is a special place. 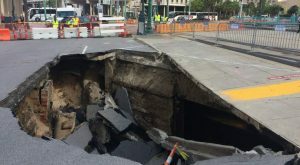 There are so many different aspects that make our city so unique, it’s hard to know where to begin. Sure, you could stroll through the French Quarter or curl up under an oak tree in City Park and read a good book, but today we’re getting weird. 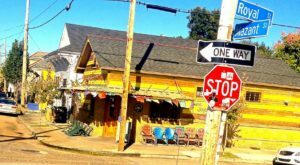 In no particular order, here are 7 strange but awesome adventures you can only have in (and around) New Orleans. 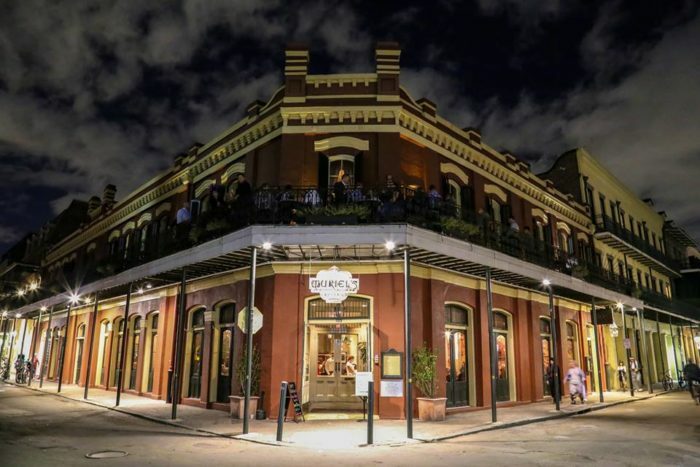 Located in Jackson Square, Muriel’s is one of the best places in the city to visit when you’re in the mood for Creole cuisine and maybe a paranormal experience or two.The building dates back to the mid 1700s, and even partially survived the Great New Orleans Fire of 1788. Shortly after the fire, Pierre Antoine Lepardi Jourdan purchased the building and built the house of his dreams. In 1841, he bet his beloved house in a poker game and lost the hand. Rather than move out of the house he devoted so much time and energy into, he committed suicide on the second floor. The Seance Lounge on the second floor of Muriel’s is where Mr. Jourdan seems to prefer to spend much of his time, and you could very well sense his presence the next time you’re there. 801 Chartres St., New Orleans, LA 70116. 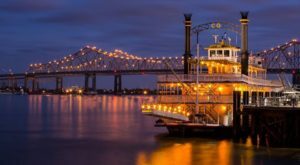 Yes, this attraction is a bit of a drive from New Orleans, but it’s absolutely worthy of a pilgrimage. 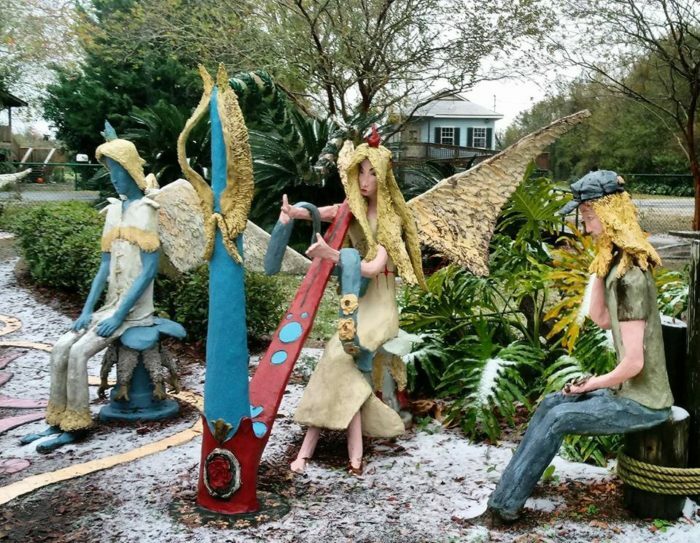 Once the former home of artist Kenny Hill, today the garden is run by Nicholls State University and you can stroll through the colorful artwork Mr. Hill left behind. 5337 Bayouside Dr., Chauvin, LA 70344. 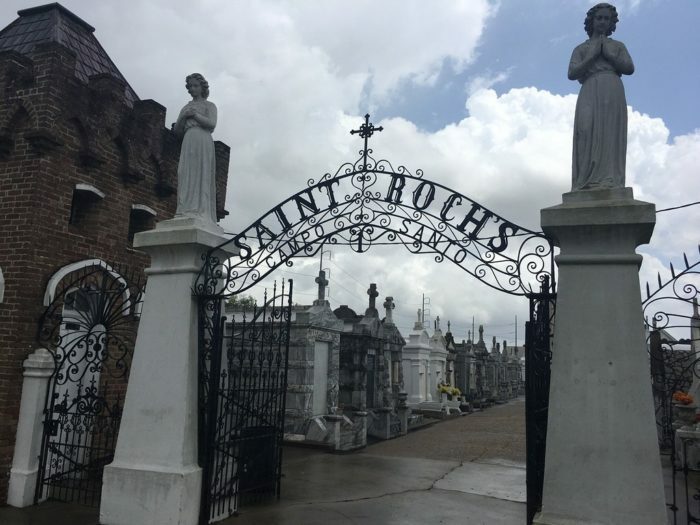 You’ll find the St. Roch Chapel inside of the St. Roch Cemetery. After the yellow fever epidemic in the 1800s, Reverend Peter Thevis prayed to St. Roch to protect his parishioners from the disease. Miraculously, no one from his community died of the disease (although 40,000 people in New Orleans fell victim to yellow fever.) Thevis built the chapel in his honor, and the St. Roch Chapel was opened in 1876. Inside the chapel you’ll find many offerings left behind from those in need of healing. Truly one of the more interesting chapels in the city! 1725 Saint Roch Ave., New Orleans, LA 70117. 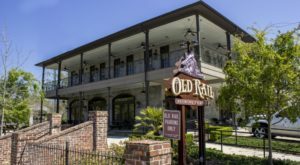 From shrunken heads to crime scene photos, this might just be the most unique museum in all of New Orleans. 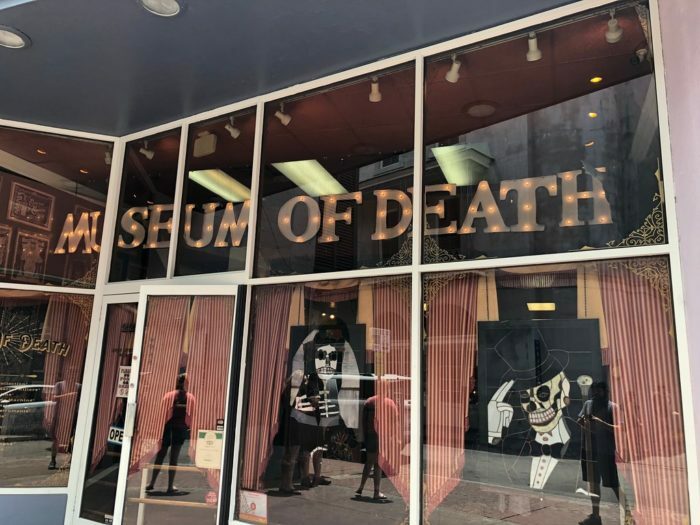 The self guided tour will take you less than an hour to complete, but just a general warning: this museum is not for the squeamish. 227 Dauphine St., New Orleans, LA 70112. 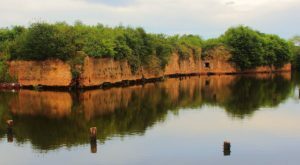 The Woodlands Conservancy over in Belle Chasse is a great place to visit when you’re looking to spend a little time outdoors. 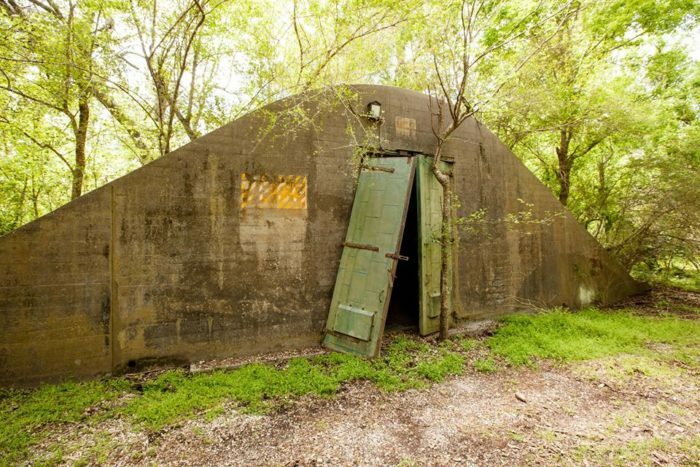 If you take the Bottomland Trail all the way to the end, you’ll come across a grouping of 10 WWII ammunition magazines, relics left behind from when the area was occupied by the military. 449 F Edward Hebert Blvd, Belle Chasse, Louisiana 70037. 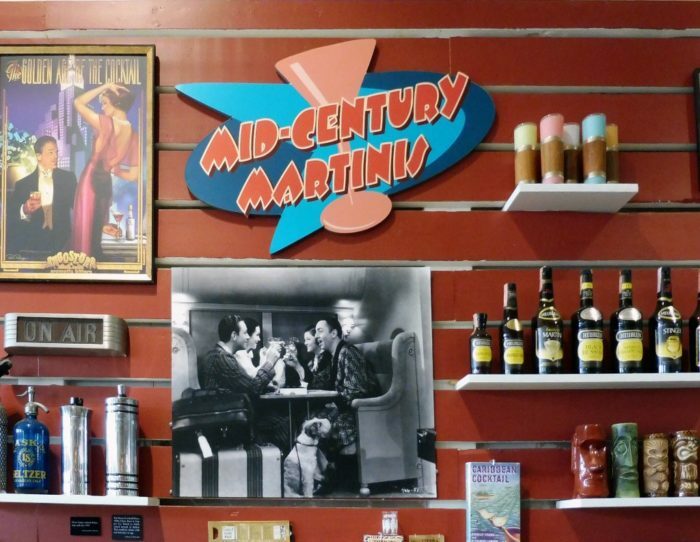 The Museum of the American Cocktail is a division of the National Food & Beverage Foundation. Dedicated to celebrating cocktails and all their glory, you’ll lean all about the history of the cocktail and its influence on everything from theater to politics. 514 Chartres St., New Orleans, LA 70130. 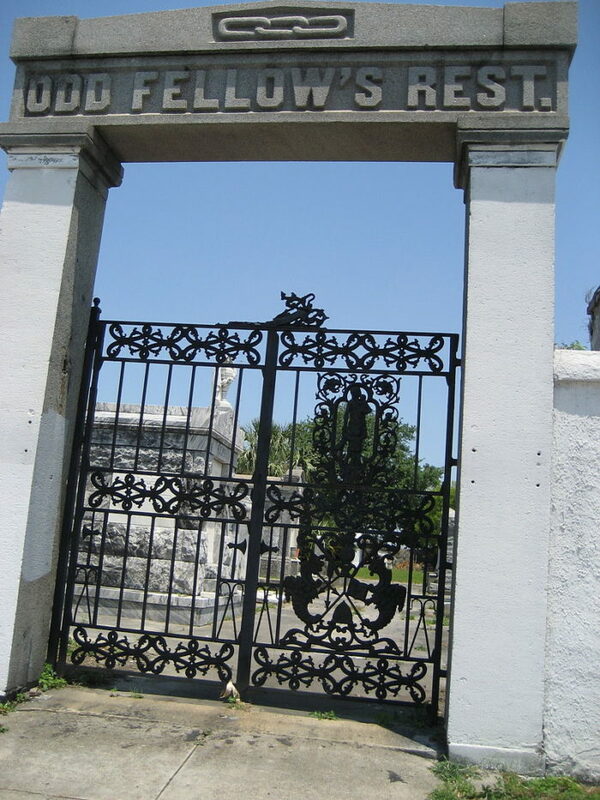 Sure, there are a number of cemeteries in New Orleans that you could visit, so why visit this one—a permanently closed cemetery? Well, even though it’s closed to the public, you can still see through the gates, so it’s worth popping over. 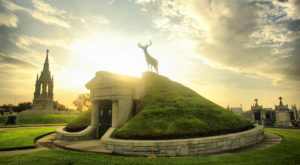 This dilapidated cemetery is the final resting place of many members of a secret society that has faded away long ago. 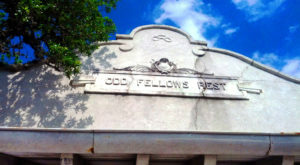 It was built in 1847 as the final resting place for members of the Grand Lodge of the Independent Order of Odd Fellows. 5550 Canal St., New Orleans, LA 70119. 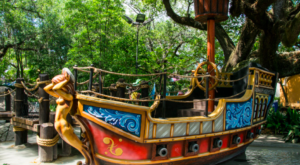 How many of these attractions have you visited? Let us know in the comments below!